Think you may be ready for a new air conditioning system? There are a few signs to look for in you a/c units performance that will let you know that its time for a change. Although only a train technician can really determine if its time or not. However if you discover any of these issues its time to give us a call. Is your a/c unit gone beyond its fifteen year prime? Does it require a major repair or part and the warranty has run its course? Does it not work as well as it use to? Has your energy bill skyrocketed over the years? If you are experiencing any one of these things then now is the time for a new unit. 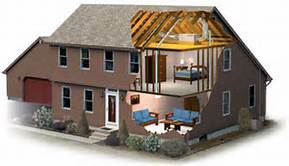 Its time to contact JR HVAC Team and schedule an appointment for your inspection and consultation. If it is too old. 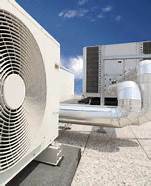 Most air conditioning units last around ten to fifteen years, after that it is way past its prime. This “lifespan” really depends on how well it is taken care of, those regularly maintain a/c units will have a longevity more towards the fifteen year mark. If the replacement warranty has expired and you are in need of a major repair or replacement part. Instead of investing in something that will continue costing money it is better to just forgo a complicated situation and invest in a new system with a new warranty. That will last you for years to come. Our technicians go through a very rigorous and complete training system. We ensure that each tech is prepared to service every call we received. When they arrive they will be able to answer all of your questions and properly size you home or business so that we can fit you with the perfect air conditioning unit. We also provide many preventative services that will ensure that your new unit will work for many years to come. Routinely have your HVAC unit serviced. This will include replacing of filters, inspecting hoses and replacing them if necessary, checking electrical wires and harnesses, and cleaning and oiling the motor, compressor, and conducted.